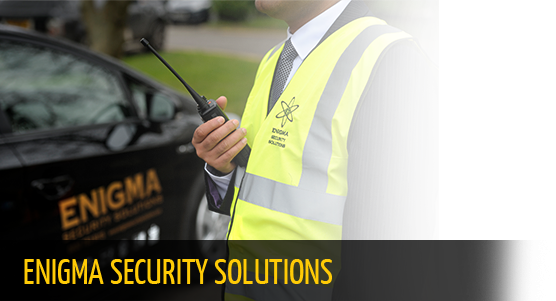 Enigma Security Solutions Limited specialise in delivering a highly personalised and focused range of security services to clients both internationally and throughout the United Kingdom. Our extensive client portfolio includes many premium-brand global organisations. Enigma tailor made solutions can be created around your requirements ensuring that we always provide the ideal service to best suit your needs. Our highly dedicated and personalised service draws on our experience, specialised skills and a proven track record, setting us apart from the market. For this reason we have one of the highest levels of customer retention within this sector. Made to meet the specific requests of one of London's well-known commercial broadcasters, Enigma has quickly become renowned for exceeding our service delivery promise. Articles, updates and general discussions are all obtained in the Enigma Blog. We are currently seeking personnel with experience in Static Security Officers, Retail Security Officers and CCTV Operators. Log in to the employee network to communicate, collaborate and get the latest news and updates from Enigma. Get the news and keep up to date with the latest from Enigma.